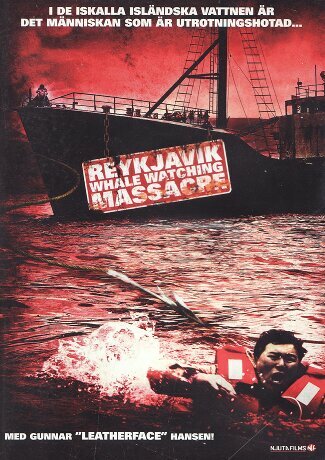 here has been substituted with a psycho family living on an ex-whaler ship in the waters of Iceland. drunkard, some grumpy older ladies etc. aboard the Poseidon, with Gunnar Hansen as the Captain. However, they spot no whales and the Captain asks an ex-whaler ship for directions to where the whales may be. moratorium and with a psychotic hatred against whale watching tourists. So, now they start killing off the tourists instead. Yuuki)? The Finnish girl (Pihla Viitala)? I didn't get the ending though, what about the spastic acting whaler-brother? What about the lighthouse? Endo's deal? to die very early according to the laws of the genre, as harpoon fodder (se DVD sleeve). the harpoon when it's fired at you with some quick kicks.